Finding a perfect wedding venue to suit your needs is no easy task. There is so much to consider such as location, price, if you require a civil ceremony, how many guests you want and of course, your own personal taste. Do you want traditional, unique, grand or cosy? 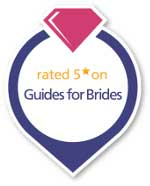 Most venues are licensed for a civil ceremony and can offer you a complete package from ceremony through to reception.